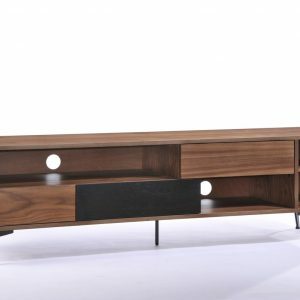 Effect mid-century style as your decor destination with the Origin 47” TV Stand. 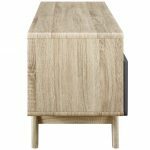 Featuring a linear silhouette with rounded corners, Origin comes with two full-extension concealed storage drawers and durable fiberboard construction for reliable support. 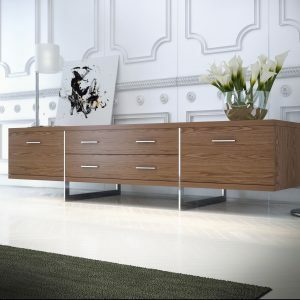 Available in either walnut grain veneer with spacious white drawers or natural grain veneer with gray drawers, Origin has a look perfect for your contemporary living room decor. 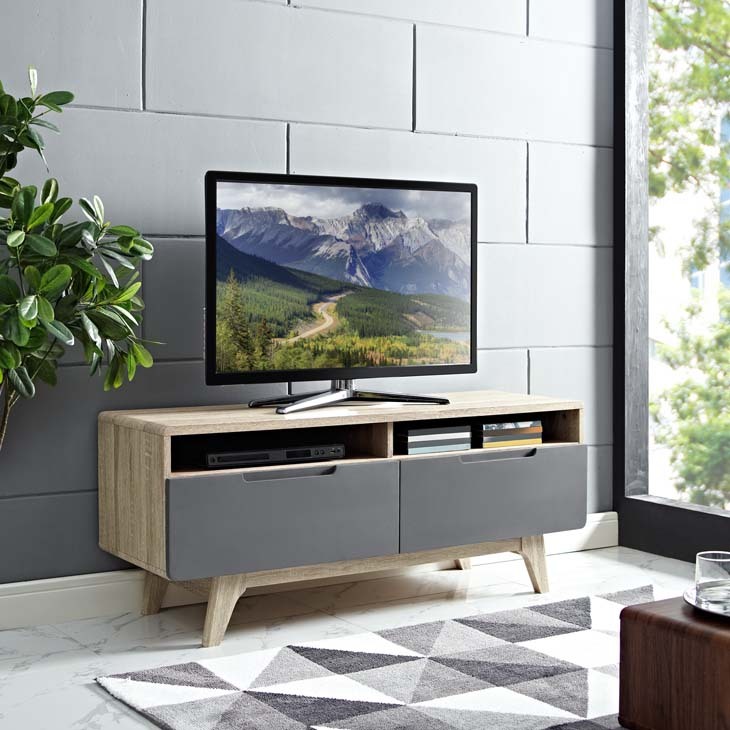 Complete with open media storage shelves with cable management, organize your game system, DVD or Blu-ray player storage while keeping your visual space clean with this versatile TV stand. Accommodates flat screen TVs up to 50 inches.